Ever wondered how some drawings look so realistic? Learn to add shading to your drawings, which can give your pictures depth and perspective. 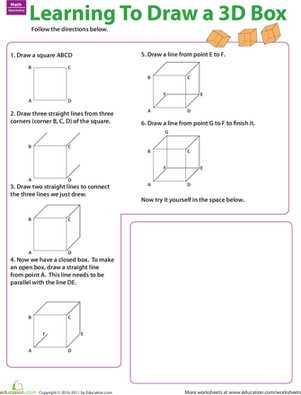 Learn how to draw a cube, a basic 3D shape, in this intro to art worksheet. Here's a good way to help your visual learner with maths. Learn how to do lattice multiplication with this helpful how-to. Father's Day Activities: Draw a Portrait! 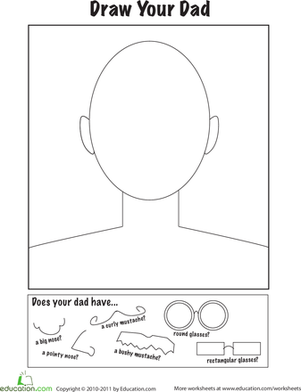 Help your second grader draw a portrait of Dad using this cool printable. It makes a great gift, and it's a fun activity,too! Students will learn how to read a chart of real mountain elevations and answer questions based on this worksheet. 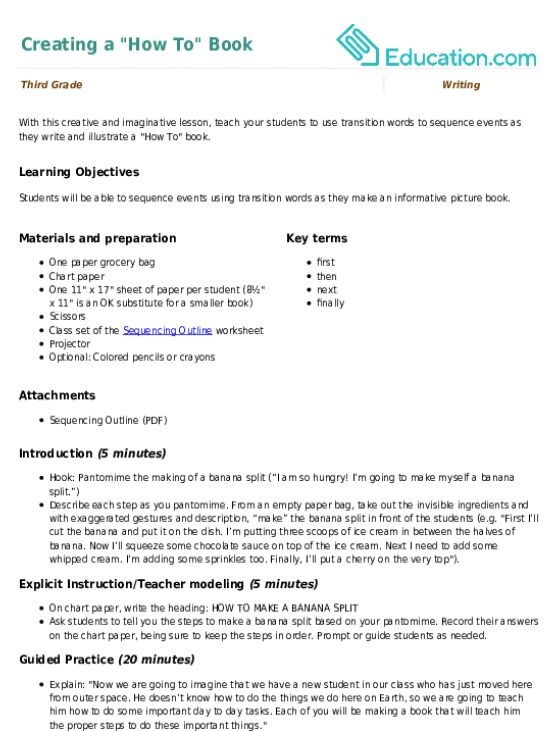 For kids just entering the world of research and report-writing, here's a handy reference guide on how to write a bibliography. The best way to solve a complicated problem is to break it down. Help your students use the Read, Write, Draw strategy to solve word problems with this worksheet. Race to Draw the Bunny! Looking for a fun game to play with the kids around Easter? It's a bunny drawing race, no hopping required! Interested in how to do origami? Cut out the paper square that is provided in this worksheet and follow a few simple directions to create an origami ladybug.